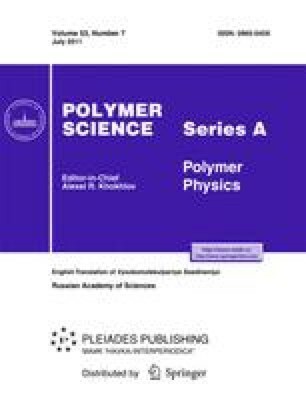 Chitosans with high degree of polymerization and molecular weight exhibit poor aqueous solubility which is an impediment in their applicability. The low molecular weight chitosans (LMWCs) and chitooligosaccharides (COSs) can be used to avoid this hurdle. The development of an efficient process for reducing the molecular weight of chitosan, without altering its chemical structure, is of great interest to produce tailormade chitosans of varying Degree of Acetylation (DAs) and Degree of Polymerization (DPs). The production of well-defined COS-mixtures, or even pure COS, is of great interest since these oligosaccharides are thought to have several interesting bioactivities and applications. For this proper delineation of their characteristics is needed. Hence it is our attempt to provide an overview of difffernt methods and techniques of their production and characterization. Several methods viz. depolymerization under the action of reagents, enzymes, high energy impact and combinations thereof have been employed to get COS by depolymerization of high molecular weight chitosans. Acid hydrolysis (hydrochloric, nitrous, phosphoric acid, hydrogen fluoride) and oxidative reductive depolymerization (mediated by peroxide, ozone, and persulfate) are important routes for synthesis of COSs. These oligomers can be produced from chitin or chitosan as a starting material by enzymatic conversions. For this, numbers of enzymes have been used. Depolymerization under high energy impact and recombinant approaches are also being tried for production of COSs. LMWC and COS, like parent chitosan, can be used for drug delivery and gene delivery. The efficient and productive processes are needed for separation of COSs into its components or mixture of defined characters. The characterization of COS can be carried out by chromatographic and spectroscopic techniques. Importantly COSs display an array of biological activities as antimicrobial, anticancer/antimetastatic, wound healing acceleration, immunostimulation, apoptosis induction or inhibiton, antioxidant, enzyme inhibiton, antihyperlipidemic, antidiabetic, chemoprevention, and many more. A few of the biological actions are reported only sporadically where as some are persistently taken up by the scientific fraternity to substantiate the claims and propose possible mechanisms of action. However there remains the disagreement of results on COS activities. The disagreements can arise due to poor and variable reporting of the properties of COS such as used in the studies as molecular weight, degree of acetylation, molecular weight distribution, and the pattern of N-acetylation etc. With production of COS of well defined characters it might be possible to understand the modes of actions of COS in better ways. The article is publishend in the original.